PHEASANT HUNTING AT IT'S FINEST! Hunt wild North Dakota pheasants with The Cannonball Company and you will join the ever growing number of pheasant hunters who have made SW North Dakota their pheasant hunting destination of choice. 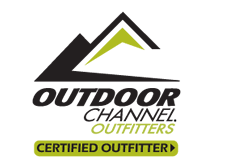 Totally wild birds and extremely friendly people have made the Cannonball Company the largest pheasant hunting and upland game outfitter in North Dakota. We have over 50,000 acres of prime pheasant hunting land from large CRP fields to small river and creek drainages. The landowners who make up our company have created the best pheasant hunting habitat in North Dakota. The sheer number of wild pheasants our hunters see every year still takes their breath away. 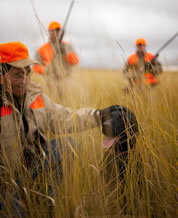 We believe pheasant hunting with your friends is one of the most enjoyable ways to spend time in the field. This is why we do not combine pheasant hunting groups . Each pheasant hunting group will have their own professional guide with trained dog for the entire time you hunt with us. Our pheasant hunting areas are so large and numerous you can spend the entire day in the field hunting pheasants, Sharptail grouse and Hungarian partridge and never see another hunting party. The Cannonball Company is located in Regent, North Dakota, a small farming community famous for it's friendly people and warm hospitality. Our reputation for some of the best pheasant hunting in the nation may bring you here, but the hometown treatment and genuine kindness will keep you returning year after year. Is it any wonder we have over a 90% rebooking rate? We are one of the nations best pheasant hunting secrets. With over 50,000 wild pheasant hunting acres, we can tailor a hunt for any size pheasant hunting group or accommodate any special needs our pheasant hunters may have. No group of pheasant hunters is too small or too large. If there is one thing the Cannonball Company is noted for, it's the flexibility and desire to provide a pheasant hunt just right for you. We can accommodate pheasant hunter of virtually any age. Theodore Roosevelt spent a large amount of time hunting in our famous Badlands and you can too. Hunt Sharptail Grouse in the breathtakingly beautiful Badlands of North Dakota. You will experience the same raw, rugged beauty he enjoyed from his Elk Horn ranch. Bison, elk, deer and wild horses run free throughout the National Park.